An Animal Crossing Guide: Wild World and City Folk guide designed to help you make the most bells possible! 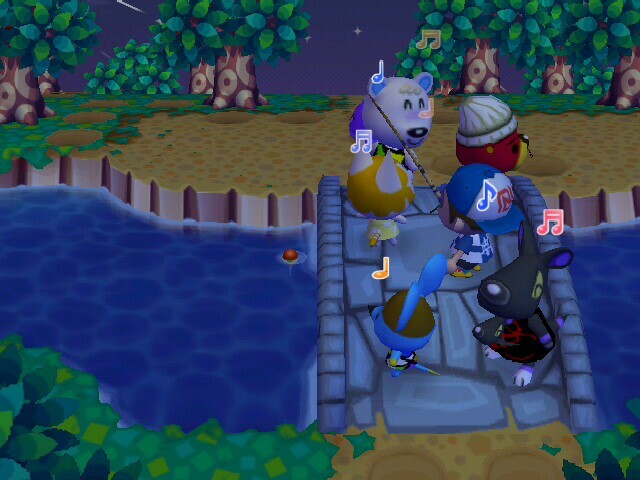 There are many ways you can make bells in Animal Crossing. The best thing about the game is that if you don't want to make bells a certain way, you don't have to! This guide will outline some of the most popular ways to make bells, and how ACC can help. Find fossils - up to three a day! Invest in the Stalk Market - It doesn't crash... always. • Sell Foreign Fruit, que? You only earn 100 bells for each of the native fruit you sell to Nook, so earning 500 bells for each fruit sounds a lot better, huh? Those 500 bells can come from foreign fruit. If you head on over to the trading board, you should be able to find someone willing to share (or trade) fruit with you. Don't sell the fruit they give you though! Make sure you plant it, and plant at least one tree's worth each time the fruit comes ripe. Soon, you will have expansive orchards that can make you hundreds of thousands of bells every few days. Tip: Don't plant the fruit too close to other trees, it will wilt! 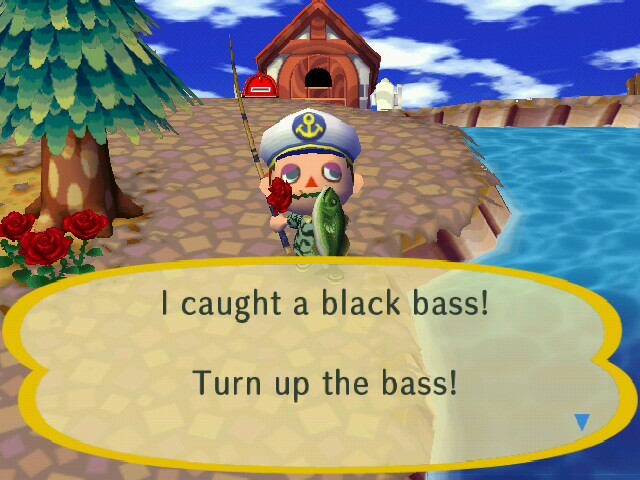 Fishing can earn you a large amount of bells in a short amount of time if you are good at it. Always make sure that you pull the rod out as soon as the bobber sinks. If you want to get the most out of your fishing, check out our Fish Guide. With the guide, you can determine which fish you should throw back into the water because of their low value. Bugs are very plentiful when compared to AC:WW. Just like AC:WW though, most bugs do not appear during the winter months. Make sure you don't run into bugs hanging from trees, as they will be scared off. Grasshoppers and their relatives like to jump in water, so don't get them too close to the edge! Just like the fish, check out our Bug Guide, so you don't spend all of your time pursuing low value bugs. One often elusive bug is the bee. You can get them to fall from trees by shaking them. Sounds simple? To be more successful at catching your bees, approach the tree from the south (bottom) side. Get rid of all the tools except the net (or attach them to letters). Now shake and aim. It takes a while to get timing right. • Find fossils - up to three a day! 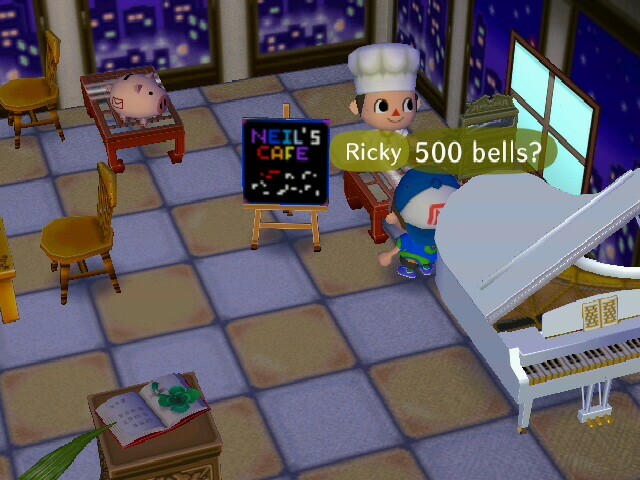 Selling fossils to Nook after you have them identified can easily make you a few thousand bells a day. All you have to do is find them first. They have a distinctive look, making a crack in the ground. If you're having a hard time finding any fossils in your town, use the up arrow on the Wiimote to see behind buildings when you're standing even to their north end. • Invest in the Stalk Market - It doesn't crash... always. Each Sunday morning, Joan will travel to your town, selling her turnips. One type she sells is the red turnip. Once you plant it, it is good for a week. By the time Saturday rolls around, it should be worth 16,000 bells. There's a catch! She only sells one of this type for 1,000 bells, and you must water it each and every day. The other type of turnip is the white turnip, and the price varies each week. You can only by these in bunches of 10, and there is no guarantee of a profit. If you time travel at all, you will most likely not be able to sell the turnips to Nook for more than you paid Joan. The white turnips go rotten if they are not sold by the next Sunday. Shaking your tree leaves can get you stung... or it can get you lots of bells. If you have not cut down trees in your town, there should be over a dozen trees that drop 100 bells when you shake them. The trees that do this are randomly selected each day. One or two trees should contain an item, falling in the form of a leaf. • Finders really are keepers! Make sure that you check your lost and found each day at the town gate (Booker, the dog on the left has the lost and found). Check the recycling bin in the town hall too, as free furniture is often in it. Each day, there is one "money rock" in your town. Whenever you hit it, bells come out! To get all the bells possible, dig a hole behind you and to a side that you'll have your back to a little bit before striking the rock. The rock is randomly selected each day. If you do this right, you should get over 8000 bells. At random times ending in four (ex. 1:24), a balloon will fly over your town. Shoot it down, reap the reward inside. Pick up seashells by the shore for a free source of income. Some shells, such as the pearl oyster, can be worth up to 1,200 bells each! At the flea market each month, you can sell furniture you don't want for much more than you can sell it back to Nook. Invite other players over to your town, and sell all your junk to them for however much you want. Head over to the trading board and set up a thread today!